The recovery of Mephisto in France began a long history of movement for this only remaining example of a German First World War Tank. In July 1918 the abandoned tank was dragged back to allied lines from near Villers-Bretonneux. 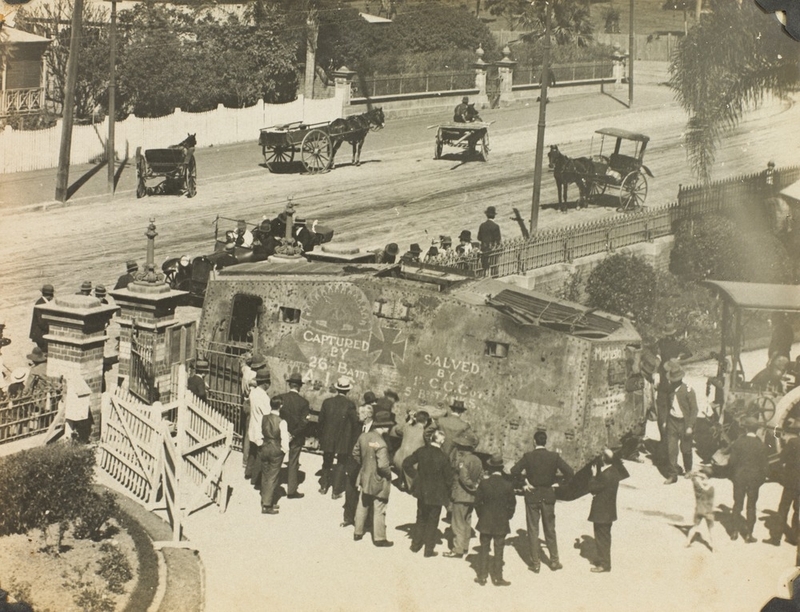 From there it was sent to Australia via Vaux, Dunkirk and London, the war trophy arriving at Norman Wharf, Brisbane, in June 1919. 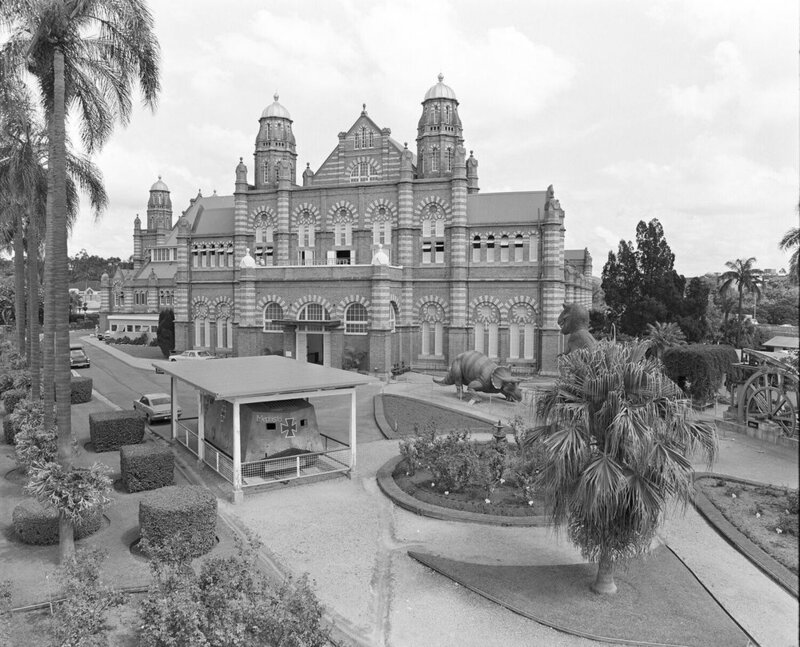 In August it was towed from there to the Queensland Museum on Gregory Terrace by two Brisbane City Council steamrollers. 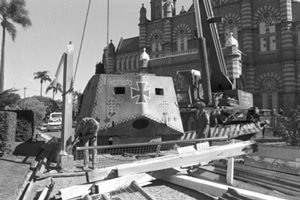 The tank remained on display outside the old museum building for more than 60 years where it was a familiar icon.